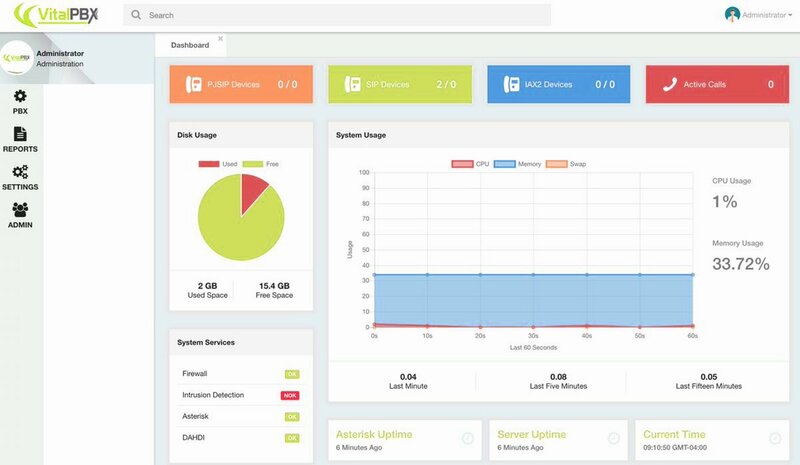 Last week we introduced VitalPBX 2.0 to the Asterisk® community. 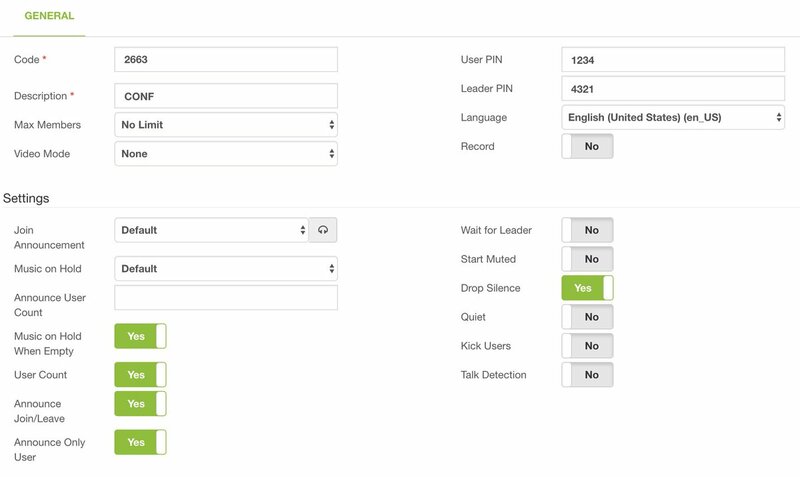 And today we’re pleased to present the Incredible PBX® add-on collection for VitalPBX featuring text-to-speech and voice recognition utilities that take your Asterisk PBX to a whole new level. 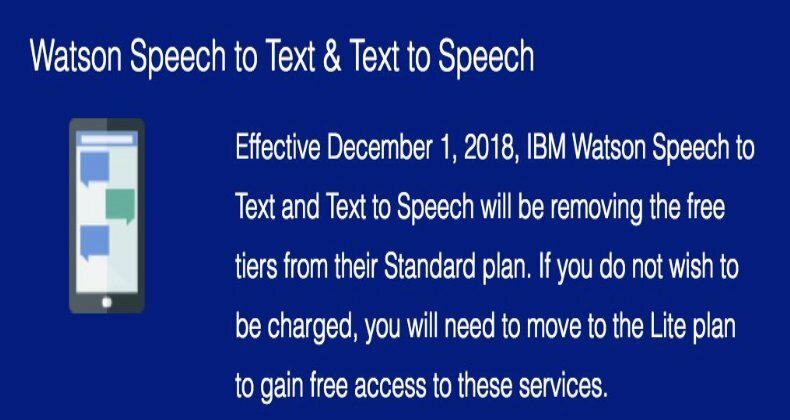 When we’re finished, you’ll have Headlines News, Weather Reports, Today in History, Wolfram Alpha, and Voice Recognition apps to call people in your AsteriDex phonebook and to call anyone else by simply speaking the number to dial. We’ll also show you how to utilize a single custom context (provided free with VitalPBX) to harness the power of 11 Asterisk utilities using an easily configurable Interactive Voice Response (IVR) interface. And it’s pure GPL code. Prerequisites. Before deploying the Incredible PBX components, you’ll need to install VitalPBX on a platform of your choice behind a hardware-based firewall. You’ll need to add an extension 701 where you can receive calls on a softphone or SIP phone, and you’ll need at least one SIP trunk to make and receive calls from those not connected to your PBX. The Outbound Route for this trunk must support 10 and 11-digit calls in the following formats: NXXNXXXXXX and 1NXXNXXXXXX. You’ll also need to install the Custom Contexts add-on to VitalPBX and then configure the (free) Custom Context for use by the Incredible PBX add-ons. The Inbound Route for at least one of your trunks must send calls to this new Incredible PBX Custom Context. Our previous tutorial will walk you through the setup steps for all of this. CAUTION: In choosing a DID for outbound calls with Incredible PBX, we strongly recommend that you use a Google Voice trunk. The reason is that, as long as your Google Voice account has no money allocated to it, Google will manage outbound calls to 10 and 11-digit phone numbers and block those that may incur enormous long distance charges from unscrupulous "merchants" in certain Caribbean countries. If you don’t heed our recommendation, we urge you NOT to link an Inbound Route to the Incredible PBX custom context. It’s your phone bill. In the VitalPBX GUI, navigate to PBX:Applications:Custom Applications and add a new 3366 (D-E-M-O) application for the Incredible PBX Demo IVR. Make it look like the following. Save your entries and Reload your dialplan when you’re finished. In the VitalPBX GUI, navigate to PBX:Applications:Conference and add a 2663 (C-O-N-F) conference that looks like the following using PINs of your choice for participants and the conference leader. Save your entries and Reload your dialplan when you’re finished. Finally, navigate to Settings:Technology Settings:SIP Settings:OTHERS and set SRV Lookups to YES. Save your settings and reload the dialplan. Incredible PBX uses IBM Watson® for TTS and STT support. This Nerd Vittles tutorial will walk you through getting your IBM account set up and obtaining both your TTS and STT credentials. Be sure to write down BOTH sets of credentials which you’ll need in a minute. For home and SOHO use, IBM access and services generally is FREE even though you must provide a credit card when signing up. Details are provided when you sign up. When people ask what exactly Wolfram Alpha is, our favorite answer was provided by Ed Borasky. It’s an almanac driven by a supercomputer. Before you can actually use our TTS implementation of Wolfram Alpha, you’ll need to obtain a free Wolfram Alpha account. As you can imagine, there have to be some rules when you’re using someone else’s supercomputer for free. So here’s the deal. It’s free for non-commercial, personal use once you sign up for an account. But you’re limited to 2,000 queries a month which works out to almost 70 queries a day. Every query requires your personal application ID, and that’s how Wolfram Alpha keeps track of your queries. Considering the price, we think you’ll find the query limitation generous compared to other web resources. The GPL3 license for all of the Incredible PBX components is available for review in /root/COPYING. If you ever want to learn how to develop applications for Asterisk, these scripts coupled with the dialplan code included in /etc/asterisk/ombutel/extensions__80-1-incrediblepbx.conf will point you in the right direction with easy to follow examples. AsteriDex is a web-based dialer and address book application for Asterisk and VitalPBX. It lets you store and manage phone numbers of all your friends and business associates in an easy-to-use SQLite3 database. You simply call up the application with your favorite web browser: http://vitalpbx-ip-address/asteridex4/. When you click on a contact that you wish to call, AsteriDex first calls you at extension 701, and then AsteriDex connects you to your contact through another outbound call made using your default outbound trunk that supports numbers in the 1NXXNXXXXXX format. Before AsteriDex Click-to-Call will work, you must authorize AsteriDex to access Asterisk from your browser. After logging into your server as root, edit the following file in /etc/asterisk/ombutel: manager__50-ombutel-user.conf. For each browser IP address you wish to authorize, add an entry like the following immediately below the existing permit entry in the file. Then reload the Asterisk dialplan: asterisk -rx "dialplan reload"
You can take Incredible PBX for VitalPBX on a test drive in two ways. You can call our server, and then you can try things out on your own server and compare the results. Call our IVR by dialing 1-843-606-0555. For our international friends, you can use the following SIP URI for a free call: 10159591015959@atlanta.voip.ms. For tips on setting up your own secure, hybrid SIP URI with VitalPBX, see our original tutorial. The FreePBX® setup is virtually identical except for the location of the custom SIP setting for match_auth_username=yes. On a VitalPBX server, you will enter it here: Settings:Technology Settings:SIP Settings:CUSTOM. You can call your own IVR in two ways. From an internal VitalPBX phone, dial D-E-M-O (2663) to be connected. Or simply dial the number of the DID you routed to the Incredible PBX Custom Context. Either way, you should be connected to the Incredible PBX IVR running on your VitalPBX server. Be sure that you heed AND test the CAUTION documented above. Enjoy! I am interested in Voicemail transcriptions within VitalPBX and I thought the IBM TTS would provide that, but I am not seeing where that can be set up. [WM: As you probably know, VitalPBX is closed source. Unfortunately, there is no current way for us to integrate voicemail transcription. One workaround would be to forward calls to a Google Voice trunk and let Google handle the voicemail transcription for you. Is the "CAUTION" warning about the DID for outbound calls due to the closed source as well? Because Travelin Man isn’t included? I am looking into a simple ipbx for a small office and VitalPBX looked good to be installed on a VPS, but this concerned me a little, after I had lost a couple of bugs because was hacked on a forgotten test vps installation in the past.